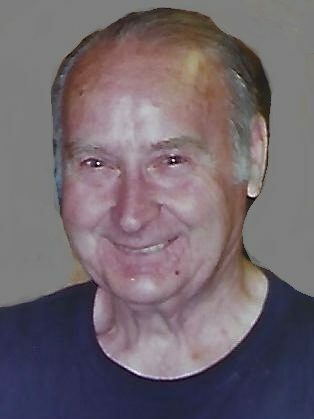 MADRID - Theodore Brackett Huntoon, 82, passed away on Nov. 30, 2018, at his home in Madrid. He was born in Rangeley on Oct. 31, 1936, the son of Gleason and Evelyn (Wing) Huntoon. He was educated in the schools of Phillips. In 1959, Ted married Angel Gibbs in Skowhegan. In his early years, Ted cut wood and drove a log truck for Monty Toothaker. Later on, he worked at Dead River for 15 years, Chase Brothers for five years, then was self-employed as a contractor and roofer until his retirement. Ted enjoyed four wheeling, fishing, hunting, his nutcracker collection, and gardening, especially growing sunflowers. Ted is survived by his wife, Angel Huntoon of Madrid; son, Allan Huntoon and wife Monica of Madrid; four grandchildren, Tristan Huntoon of Madrid, Tabitha Huntoon of Madrid, Travis Carignan of Rangeley, Katrina Gackie and husband Dan of Rangeley; son in-law, James Carignan of Rangeley; and mother in-law, Lillian Gibbs of Madrid. He was predeceased by son, Miles Huntoon; daughter, Crystal Carignan ; and brother Randall Huntoon. Donations in Ted’s memory may be made to the Franklin County Animal Shelter, 550 Industry Road, Farmington, ME 04938. Private services will be held at the convenience of the family. Arrangements are under the care and direction of Dan & Scott’s Cremation & Funeral Service, 488 Farmington Falls Rd., Farmington, ME 04938. I am so sorry Angel and family. Angel and family so sorry for your loss. My sincere condolences to Angel and Red and family. We did a lot of work together, a good man. Sorry for our loss Huntoon Family..may he find peace and reunite with his family t gty at have traveled on..God bless u Angel for ur friendship in years passed.. So sorry to hear about this loss. My thoughts and prayers are with the family. Thoughts and prayers to Ted's family. To all of the Huntoon family, so sorry for you loss. Thought and prayers to all. So sorry to hear of Ted's passing, I really enjoyed working with Ted, a dry wit and sense of humor that lit up every day RIP Ted you lived life well. Angel I am so sorry for your loss.Ted's smile was so broad and ready, as was his humor. He will be sorely missed.